Get competitive quotes on outdoor advertising in The Spring Break Capital of the World! 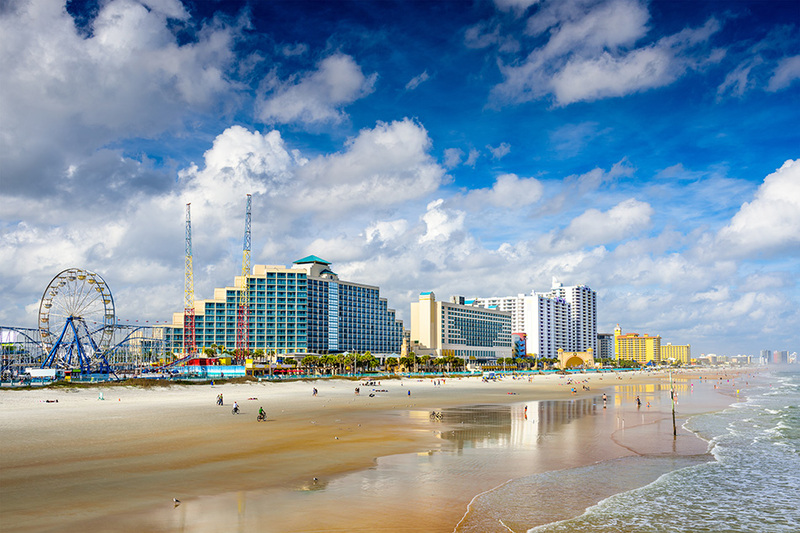 Daytona Beach, Florida is a popular spring break destination in addition to being a hub for motorsports, making it a fantastic location for outdoor advertising. Attract spring breakers and racing fans alike by finding billboards near the Daytona Beach Boardwalk or the world famous Daytona International Speedway. Use BillboardsIn to decide where to advertise along International Speedway Boulevard or Ridgewood Avenue, or along I-4 or I-95 highways. Choose an ad format below to learn more information. Or, use BillboardsIn to start planning your next ad campaign in The World’s Most Famous Beach. With their access to the largest database of outdoor advertising vendors in the United States, you will definitely have all the information that you need to make an amazing outdoor advertising decision in Daytona Beach to better promote your business.